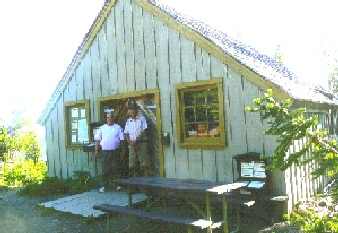 Lloyd and Carole, retired seasonal park rangers were our enthusiastic, knowledgeable tour guides. 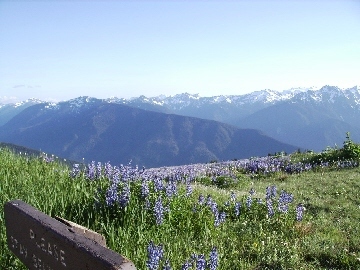 Our first experience of the Olympic National Park was Hurricane Ridge, the closest visitor center to Port Angeles. 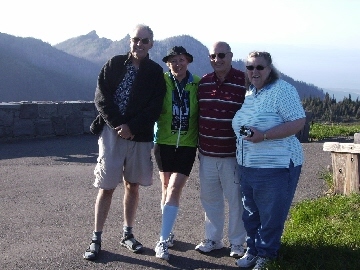 It provides fantastic views to the south and west. 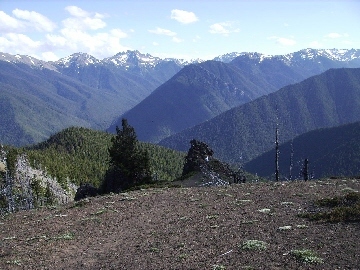 Looking south from the Hurricane Ridge visitor center. Mt. Olympus is somewhere there. 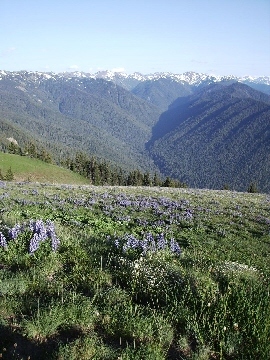 Hurricane Ridge parking lot. A little bit two tame. 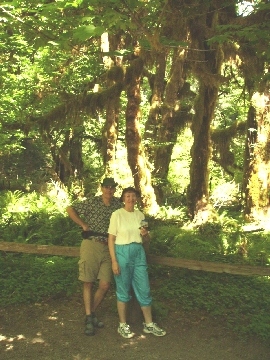 Our next excursion was to the Ho Rain Forest and visitor center, near the western edge of the park and 85 miles from Port Angeles by road. 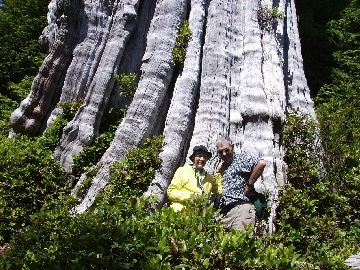 Because of the amount of rain, the large evergreen trees do not need a deep tap root to find moisture. Thus it doesn't take much of a storm to topple them. 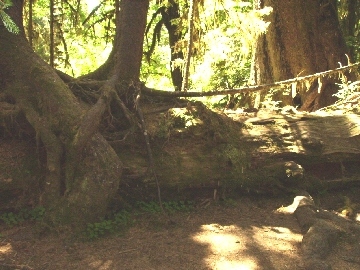 Nurse log. 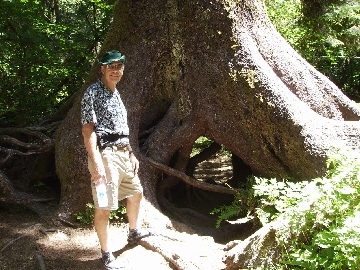 After one of these huge trees fall, seeds land on them, grow into small trees, gradually droop their roots around the nurse log to the ground, and eventually yield multiple trees lined up in a row. That's not a rotted out center. 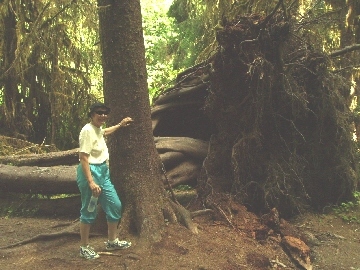 The nurse log has finally decayed and disappeared, leaving the hole in the base of the "new" tree. 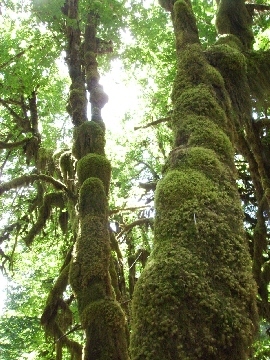 Moss covered maple trees. Yes Maple! Ho river, just west of the rain forest. 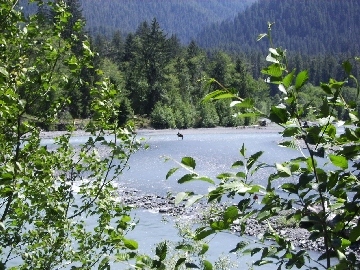 The Roosevelt elk in the middle of the river is looking over his shoulder to see if two comrades are willing to venture across the river with him. 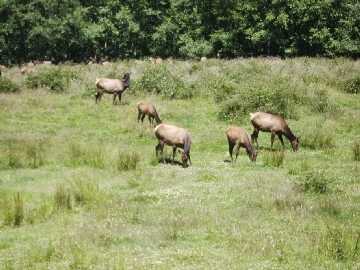 A large herd of Roosevelt Elk viewed from the road leading out of the Ho Rain Forest. Many are barely visible along the tree line in the background. 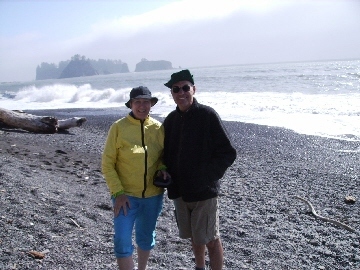 Before heading back to Port Angeles, we visited two Pacific coast beaches that belong to the national park that are geographically separate from the main part. 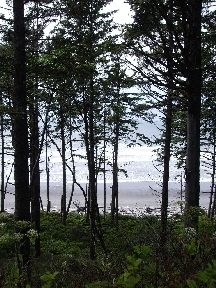 Ruby beach along the Pacific, view from the parking lot. It would have been too cold to enjoy a picnic lunch here, but about 100 yards down the coast was a picnic table that was considerable warmer. 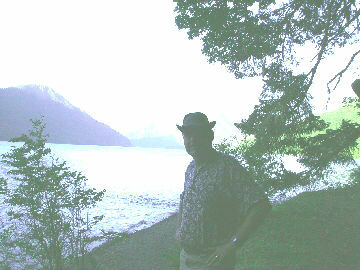 Crescent Lake along Highway 101 west of Port Angeles. 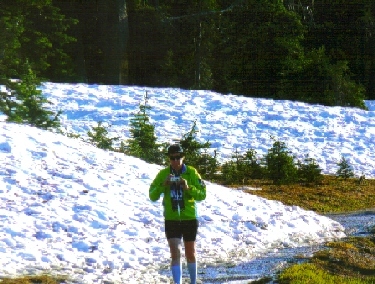 Reminded us of Achensee in the Austrian Alps. 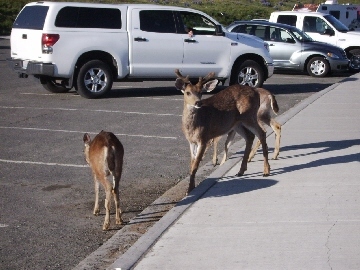 Our last excursion was to Dear Park, a ranger station and campground at the top of a long, steep, winding dirt road. 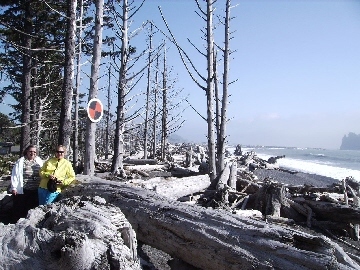 Lloyd's first ranger assignment was here. 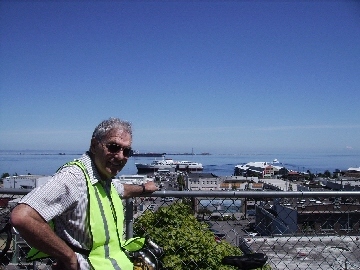 Port Angeles downtown and harbor seen from picnic bench on 2nd street. The first 3 streets in PA are at approximately sea level. The rest is on a considerably higher plateau.